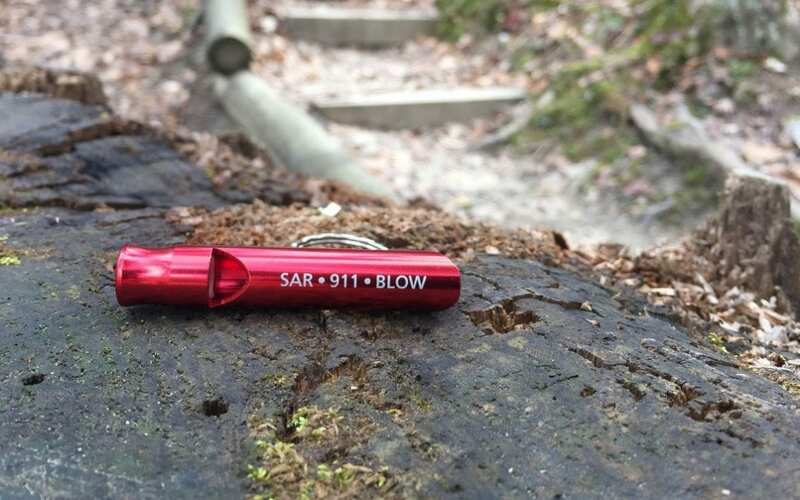 POWELL COUNTY, Ky. (WKYT) – It’s something many hikers don’t think about, but three hikers at the Red River Gorge in Powell County had a tool which helped rescuers locate them. Whether your new to hiking or even an avid hiker, Lisa Johnson with Powell County Search and Rescue says there is one item every hiker should have on them anytime they hit the trails. That item is a whistle. “It not only saves time for us, but your time, your voice, and you don’t get as thirsty,” Johnson said. The whistle proved beneficial for three University of Kentucky students Saturday, as it helped rescuers find them when they got lost at Natural Bridge State Park. Powell County Search and Rescue is using this story to help promote more hikers to have a whistle on hand, as crews are trained to listen for specific signals. If you are at Natural Bridge, the Skylift Gift Shop sells whistles. The proceeds help fund the search and rescue team.